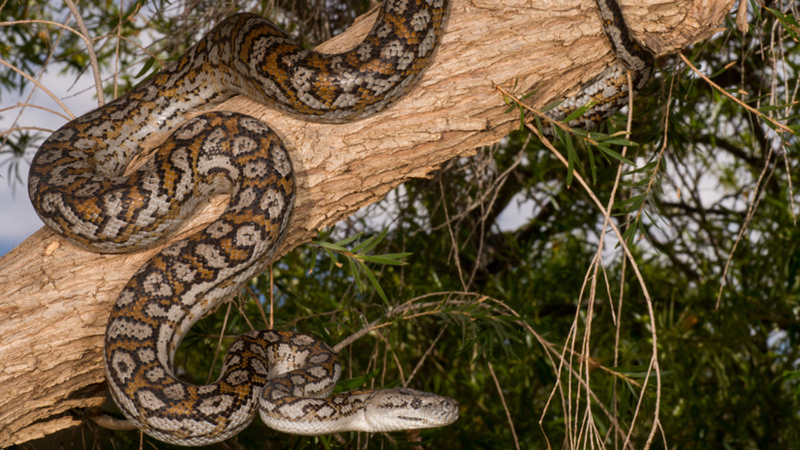 How is a python able to swallow prey larger than its own head? Pythons are constrictors, which means they kill their prey by squeezing. Since snakes cannot chew or tear into their food, they must swallow prey whole. During feeding, a python can push its windpipe out of its mouth. It takes a python around a week to digest a meal as large as an antelope. Lurking beneath the surface of this watering hole is one of the largest types of snake in the world: a 6 metre-long python. It’s hunting but it doesn’t waste energy by chasing its prey.